Hypoluxo Movers – Are you dreading your upcoming move? Let the experts at Discount South Florida Movers set your mind at ease. Our team of professionals has been helping people move since 2001. You can rest assured that your move will be expertly handled by experienced movers who will treat you and your belongings with the respect. Contact us to see how we can help you with all of your moving needs. No matter what your needs are for we can help. We can help you securely pack your belongings and can even handle specialty items like pianos, artwork, and antiques. Distance isn’t a factor either. Whether you are moving down the street or need the items shipped across the country we can help. Contact us today to get your no obligation estimate and see how great our rates are! Hypoluxo is a small town on the edge of Palm Beach County. This town of 2,600 originally began as a post office. The origin of the town’s name is disputed. Some believe the name is of Greek origin meaning below light. Others thought that the name was a loose translation of a Seminole name of the lake “water all around now get out”. One of the attractions in is their town hall, built in the Key West Style. The Scrub Natural Area allows visitors to view what the natural brush looked like before development of the area. There is also a 14’ statue of the Barefoot Mailman dedicated to the original mailmen that would make the huge trip to deliver the mail. 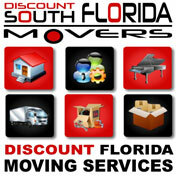 Discount South Florida and Hypoluxo movers provide low rates on residential, commercial, piano and long distance moving.